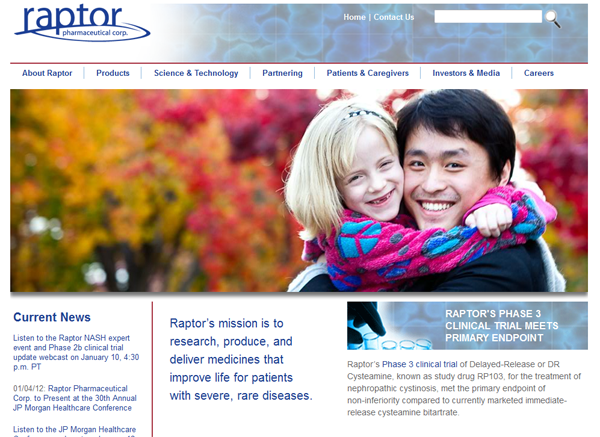 Raptor (www.raptorpharma.com) wanted to redesign their site to coincide with some important news about good results from their clinical trial for their lead product. They wanted to capture the emotion and fragility of these young children who are affected by cystinosis, taking them at a young age without this life-saving drug. The response to their home page images of real patients we created was overwhelmingly positive.